göt2b Creative Recommended? You Betcha! 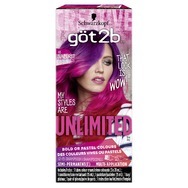 göt2b Unlimited Recommended? You Betcha! 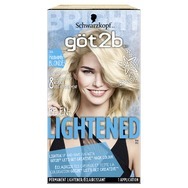 göt2b Lightened Recommended? You Betcha! 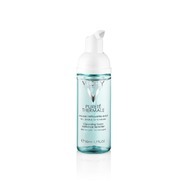 Vichy Pureté Thermale Cleansing Foam Radiance Revealer Recommended? You Betcha! Vichy Thermal Spa Water Recommended? You Betcha! 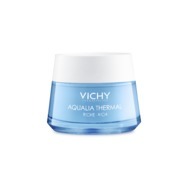 Vichy Aqualia Thermal Rich Cream Recommended? You Betcha! 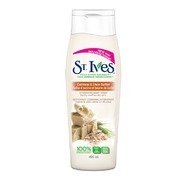 St. Ives Oatmeal & Shea Butter Hydrating Body Wash Recommended? You Betcha! Clarisonic Mia Recommended? You Betcha! 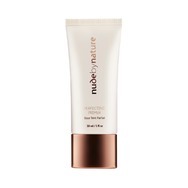 KORRES Wild Rose and Vitamin C Advanced Brightening Sleeping Facial Recommended? You Betcha! Added you as a friend! Beck-ayyyyy! I saw a few of your comments on posts lately and am glad to see you back :) Hope you're doing well! I know what you mean haha you'd think that working here, and getting to test out samples that I would buy LESS but its actually the opposite. I spend way more because I want to try everything out. I have tried Garnier Olia twice and it's weird after the second time I still really like the formula. It really does make your hair softer but I've found that (and keep in mind, this is probably more human error than anything) that I have patches of uneven colour. The colour itself is very pretty is just uneven and patches. 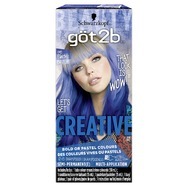 But let me know how it goes for you, I am trying to decide if its me or the dye. Hey Becky! Sorry for late reply. I have tried the OCC lip tars! I have one in magenta, I think it's called Strumpet. Mandy and I have played around with them at the office too. I haven't seen the one you're talking about but it sounds lovely! I love deep, dark plums it's pretty much ALL I am wearing now! I love when it's just like a shade away from black, I think it looks so chic. I hope you're doing well and feeling better, more out of your blaahhhhhh. Also, when I was going through a bit of a blah the other week I decided to just dye my hair, which I know sounds silly and superficial but sometimes just focusing on your new look kind of helps? No problem Becky, I know how busy everyone can get during the Holidays. I hope you and your family had a wonderful Holiday season as well. Best of luck to you in the New Year. Hey Becky! I was just reading your forum post about the hot rollers! I just happened to be thinking about getting some today! 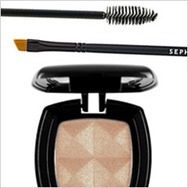 I am so hesitant though to purchase the sephora ones because of the price. I was looking online at Sears and Wal Mart, I was wondering what your take on them was. Do you think I should try expensive or cheaper ones? Congratulations! Please contact our admins with your mailing address so we can ship your gift card. Hi Becky, Bren told me she emailed the Oral B company and they told her it hasn't been discontinued. So its just walmart that isn't carrying it any longer. For all I know it might only be discontinued at the walmart's where I live. I'm not sure how they work it, but I just wanted to let you know that you should still be able to get the brush heads. Have a great day Becky.